It’s easter time. 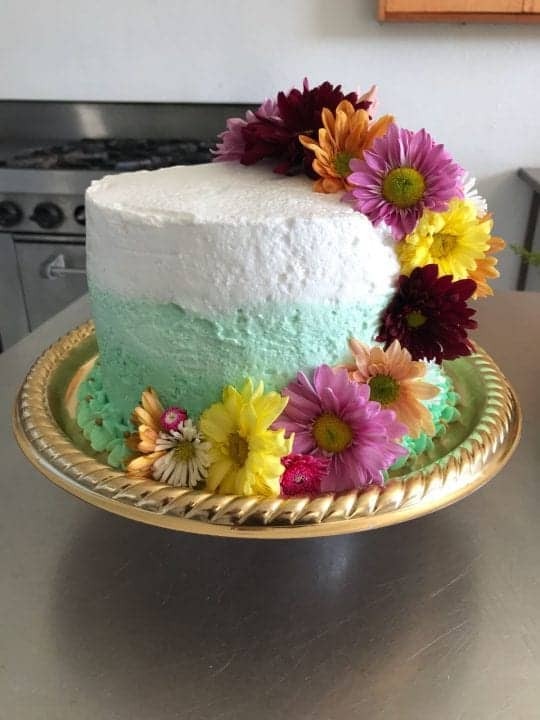 So why not make a fancy cake with coconut! This is so delicious. Let Distrita tell you how to do make the best dessert cake recipes and this one is certainly one of them! The coconut supposes an important nutritional contribution in the diet of the Arabs of the desert. One hundred grams of this product give us between 363 and 669 kcal. Likewise, the consumption of this same amount contributes between 4.8 and 10.8 g of carbohydrates as well as about 9 g of fiber. Among the minerals provided by this tropical fruit, potassium (35-650 mg per 100 g of product consumed) and chlorine (122-190 mg per 100 g of fresh product consumed) have a significant importance. Preheat the oven to 180 degrees. Grease a springform mold with butter and flour. Beat butter with sugar at medium-high speed until fluffy. Add the eggs one at a time, beating well. Add the vanilla. Reduce the speed of the blender and add the flour in 3 parts, alternating with the milk. Add the melted chocolate and stir. Put the mixture on the cake mold and put it in the oven for 50-60 minutes, until it is ready and cooked in the center. Prepare the bitumen. Mix the egg yolks, evaporated milk and sugar in a pot. Add the butter and cook over medium heat, stirring constantly until the bitumen thickens, about 10 minutes. Remove from heat and add vanilla, salt, coconut and nuts. Allow it to cool completely before using it. Remove the cake from the oven and unmold it. Let cool on a rack. Since it is cold, refrigerate (at least 1 hour to make it easy to slice). With a serrated knife, slice the cake horizontally into three layers. Cover each layer with bitumen and finish covering the entire cake with the same bitumen. Garnish with grated coconut. Now you should have a delicious cake Recipe for the easter. We get Recipes from various readers and we thank a lot for this one. I am sure this easter will be quite Yummy for those making this chocolate cake with Coconut! Check out more Recipes in our Food article list here. 3 reasons why you should never drink coke!